Classic Controls, in addition to being a distributor of industrial process measurement and control gear, also provides a range of value added services to its customers. The company has the resources to manage and perform a wide range of projects involving process instrumentation, controls, and systems integration. Experienced technicians, engineers, and managers can complete projects of almost any size. Classic Controls is a selected Yokogawa Vigilant Plant Solutions Partner, a status not easily achieved. This affords the company the training and resources needed to deliver best in class service to customers. 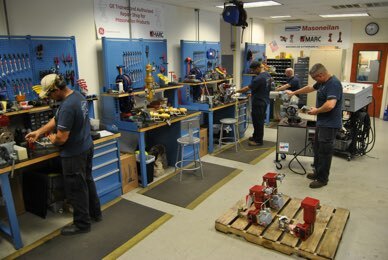 As a GE Masoneilan Authorized Repair Center (MARC), Classic Controls combines quality products with the maintenance of expert level service capabilities for these industrial valves. Classic Controls provides an extensive valve automation center capability, with experienced technicians and engineers to deliver a complete valve automation package. Reach out to Classic Controls with your process control challenges and requirements. Combine their experience and expertise with yours to produce successful project completions. Yokogawa VigilantPlant Solutions Partner from Classic Controls, Inc.